These are just few of what you would be facing when you lack long-term company vision and failed to establish the business’ mission, goals, and objectives. Facing these dilemmas are actually normal when managing a business. But the only way to get through all these is to have a systematized business process and operations. One thing that could help are the action forms that will be explained further as you go on this article. The situations that cannot be stopped are basically those business challenges listed above. As you can see there are several in the list, but we will be picking one to discuss moreover. Say, adjustments from swift changes that cannot be handled. We are living in a world where there is nothing constant except change. In other words, everything changes and there is no way that it can be stopped. But if you know how to go smoothly with it, embrace them, and do not take it negatively, then you and your company will be able to make it. But if in any cases he company fails, never stop trying to get back up again. Instead, create corrective action procedures in order to counteract the mistakes that were made. Another example is when the business reputation is at risk. This is most likely to happen due to various of reasons. And one of which is the adjustments due to the changes, as explained. Indeed, the company’s reputation is at risk when the company fails to cope up with the challenged that are encountered. Another reason that could result to this is when there are no more coordination or integration with regards to proper management of people. 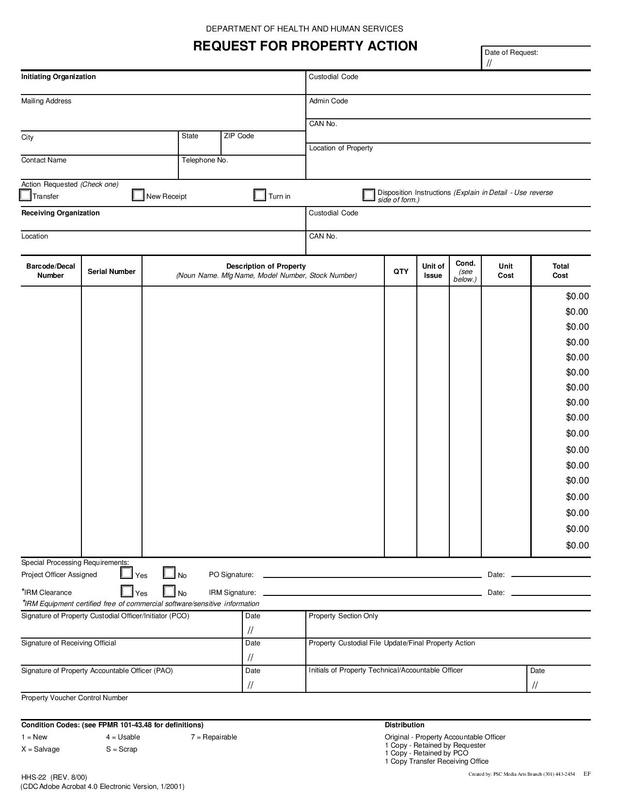 Action forms are used for various of reasons, and here below are the importance or purposes of using these kinds of forms. The forms are also used in order to develop the communication between the management and the people. With the use of these, each side is given the chance to be heard. An example is the incident action form in which the person accused of doing some unethical act is given the privilege to speak up for himself. The forms also serve as bridges in order to build a connection among the people in the company. Thus, building teamwork when there are circumstances that are faced. Processing the action forms involve various of meetings between different teams wherein everyone involve are given the chance to give their suggestions and ideas in coming up with the solutions. 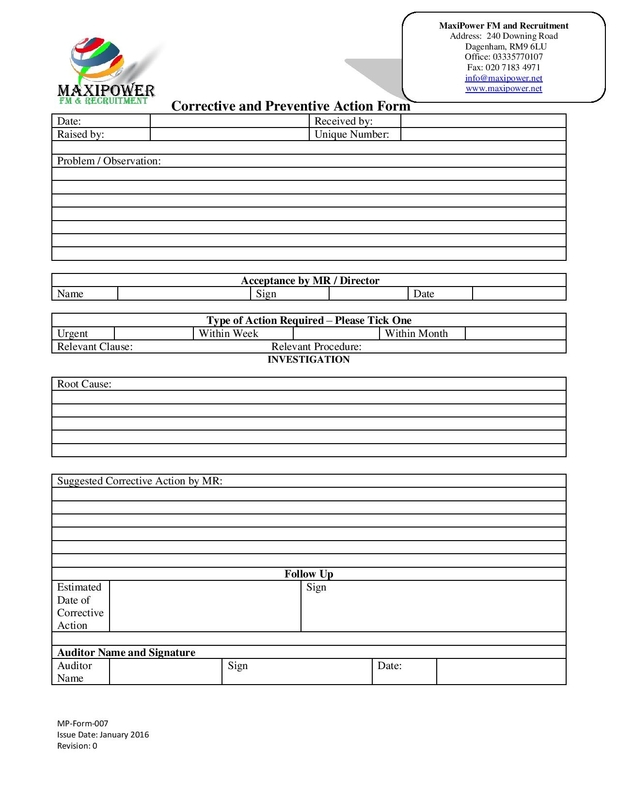 An example of which is a preventive action form. 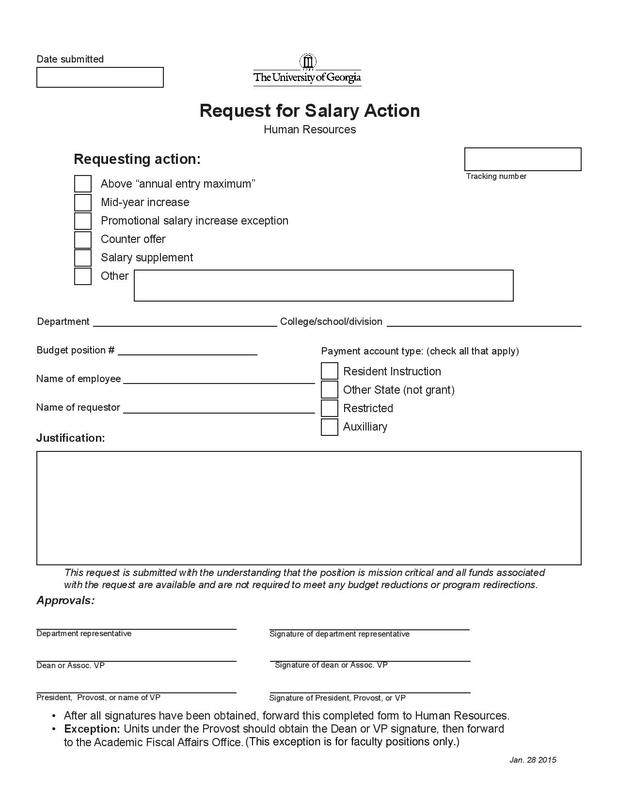 Action forms are also used for managing the workforce by making the appropriate type of actions that each deserve. 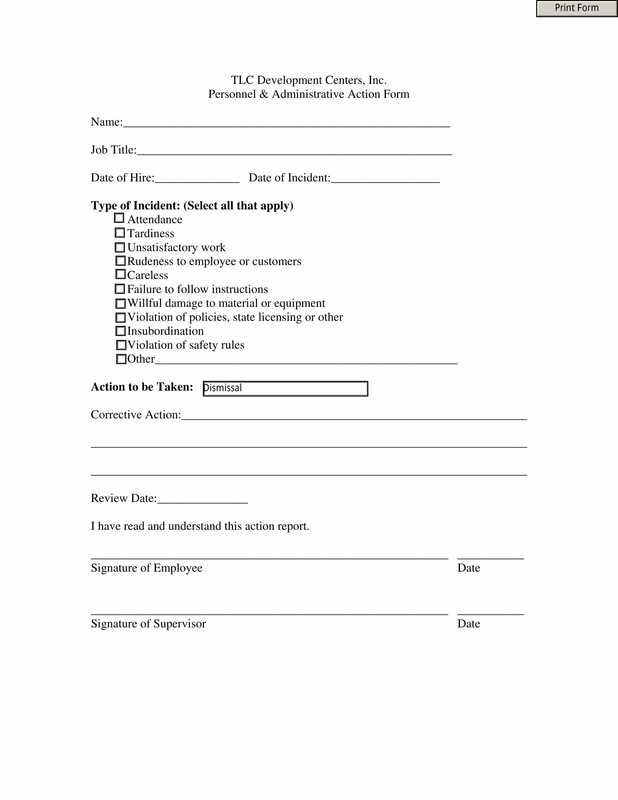 A great example for this is a personnel action form which is compiled with the employees’ profile during or even after their employment. The reason for keeping these files even when the employees have resigned or got terminated, is because they are given the chance to work in the company for the second time, depending on the management decisions. 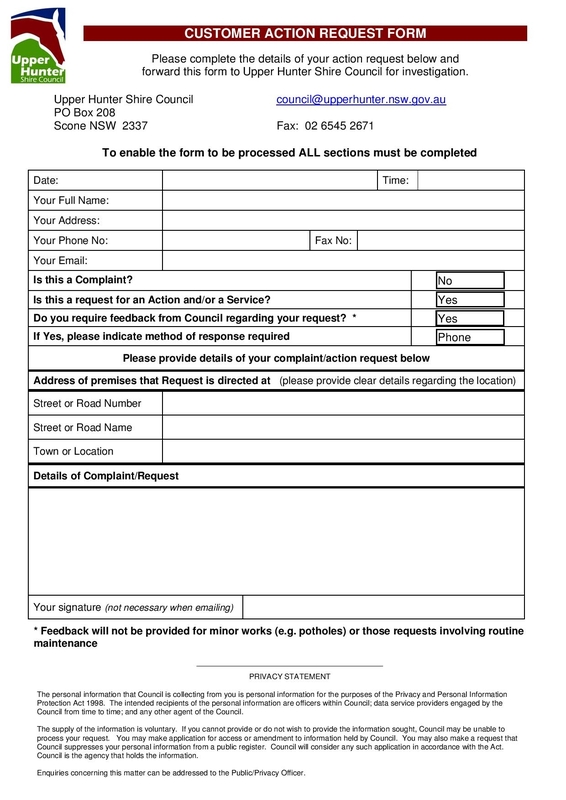 These action forms are mandatory to be filed and filled out since these are not just used for the company’s welfare, but also for the employees. 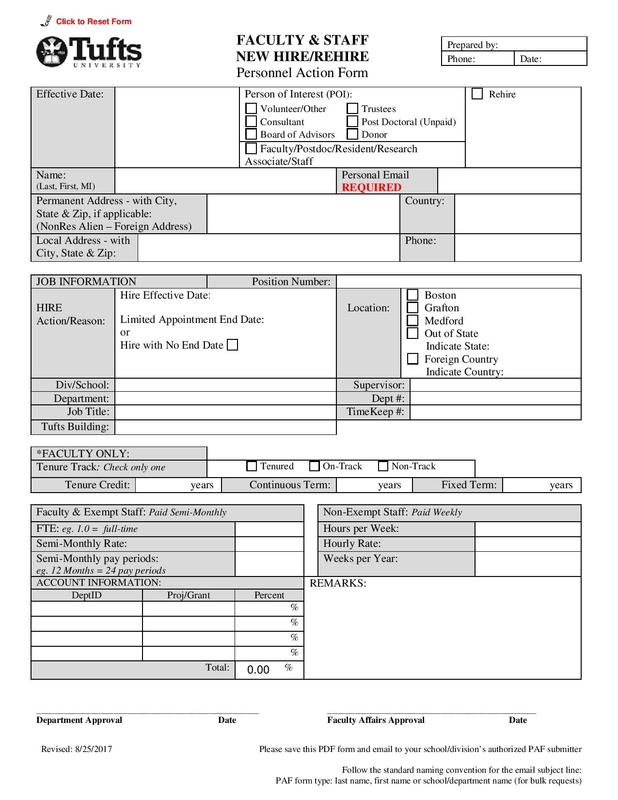 Every one in the company should know how important these forms are. These are actually confidential files which are secured for future references when there are some clarifications regarding the specific type of action forms. When everything is handled accordingly, then the management of business operations will definitely run smoothly. And when everything else, such as proper personnel action management and communication development is achieved, there will be less inconvenience and struggles that the business company will be facing. 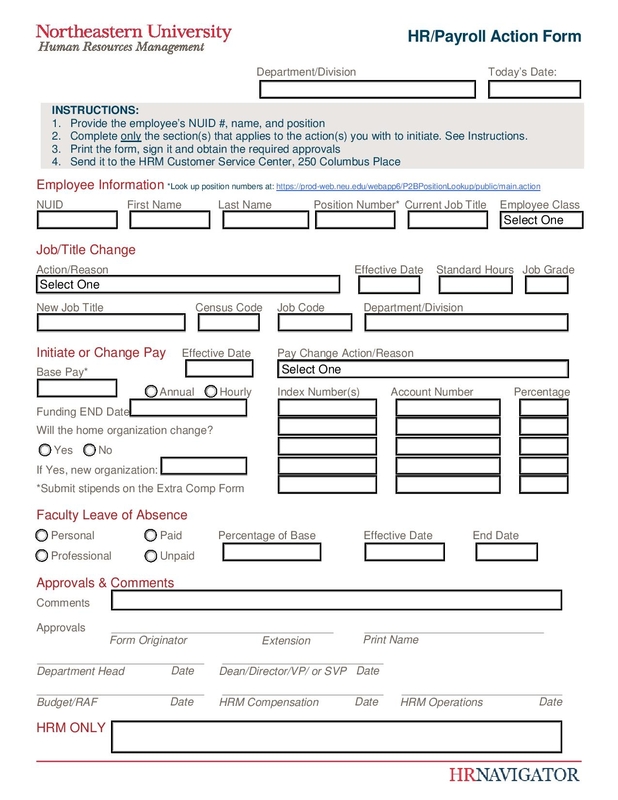 Here is a scenario for better understanding of how these action forms are processed. An incident took place in the company when the employee was accused of the confidential data breach. Technically, he is assigned to secure these files in the server room where everyone else is not permitted to go inside except him. The company has generated authoritarian rules for the server room among all the offices and the different departments. And violating these rules will cause to some decision that everybody in the company will definitely not like. Now, it is found out that files of the company costing for a huge amount is breached due to the employee’s negligence. It is said according to the complaint investigation, that the incident was an inside job which means the person responsible for the data breach is an employee of the company. 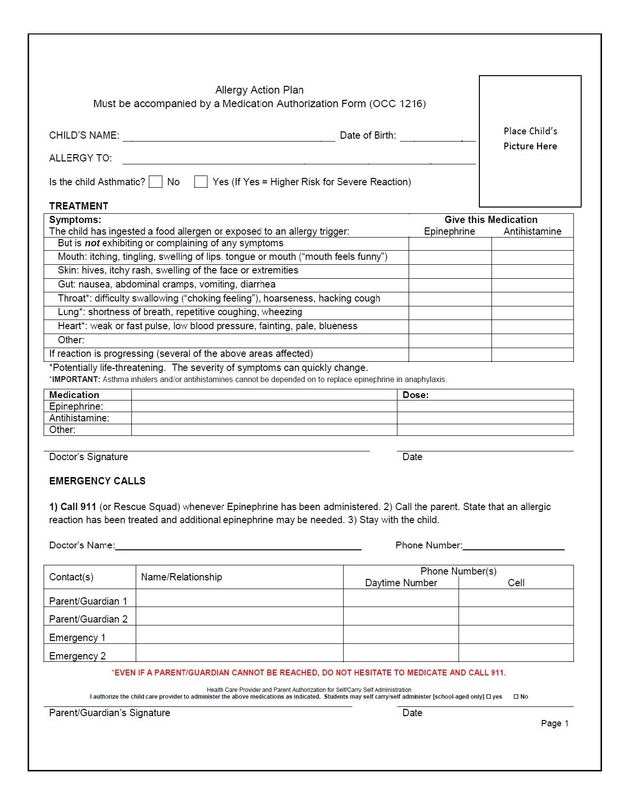 In this case, an incident action form is filled out in order to better have the exact details of what has occurred. The following are the basic steps of how action forms are processed when there are different situations same as what was encountered in the scenario above. 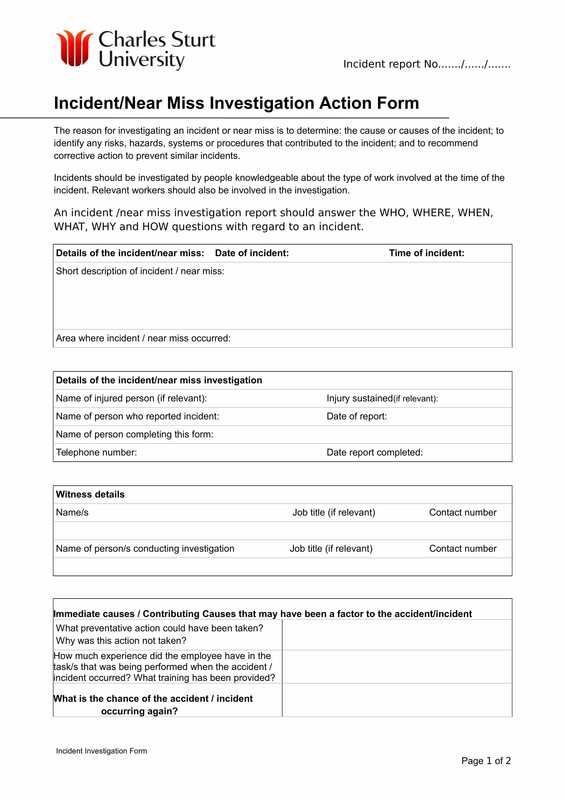 An incident action form is filled out for the investigation. A series of investigation follows in order to have clear views regarding the issue. Each person is called for few interviews. All findings or information from the investigations and interviews are gathered and collected for review. The result regarding the incident is concluded. 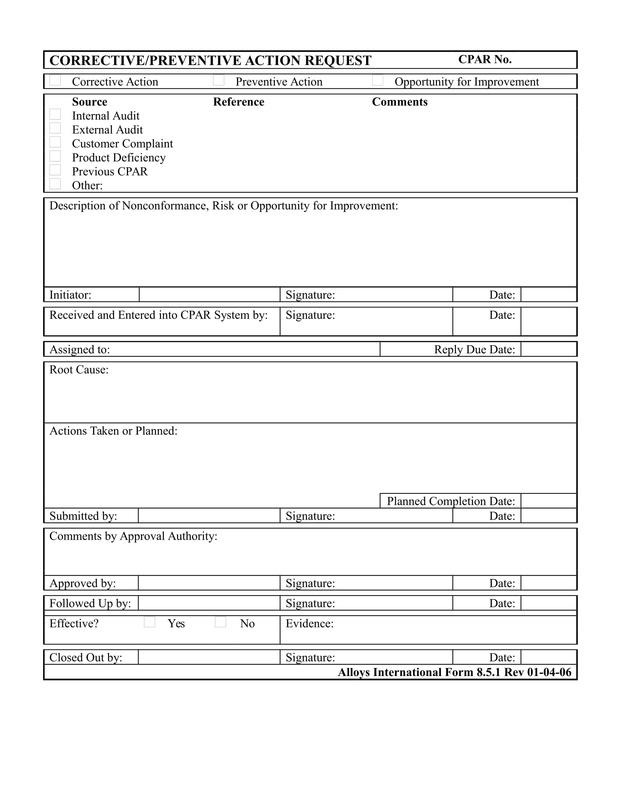 Different kinds of action forms are secured from the authorised personnel either the supervisor or team lead, or the human resource manager.Incident Action Forms. The victim or the person who was or were in danger. The exact setting of the incident including the date, time, and place of where it occurred. The type of the incident, whether it is an accident, a near miss, and/or when first aid is necessary. The witnesses or the people who were involved in the incident scene. The witness statements and facts gathered from the people who were interviewed. 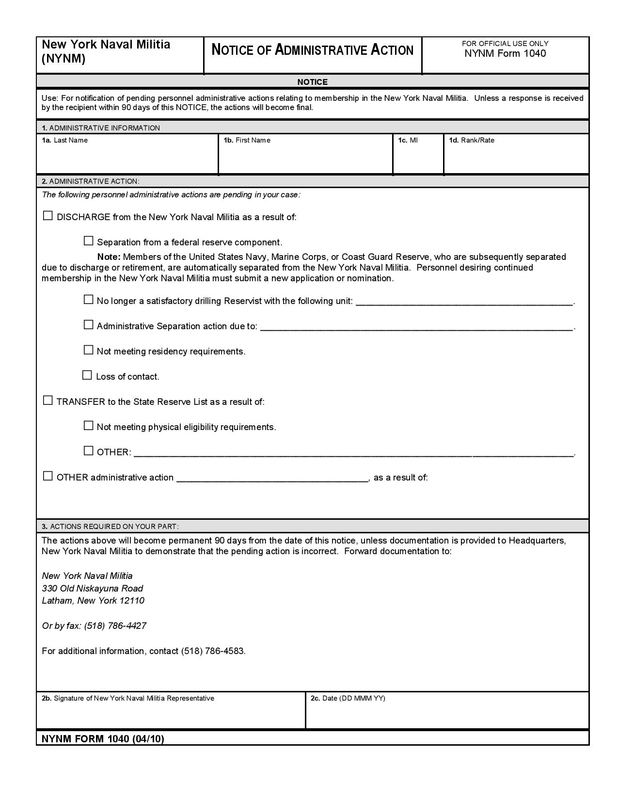 The incident report information such as the person who reported, the date and time of when. 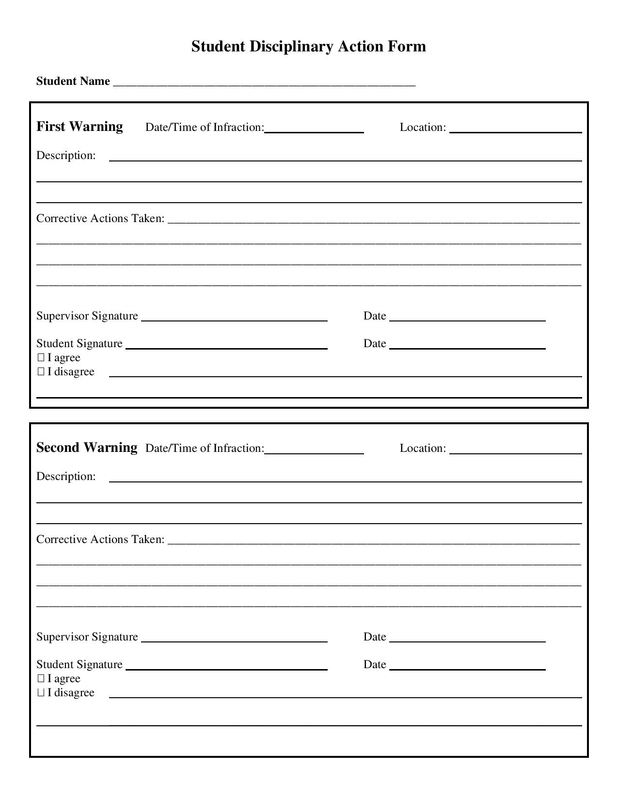 These action forms for incidents are not just used for investigation, but also to formulate actions in order to avoid the same occurrence of what happened. These also help the investigators come up with solutions to correct and prevent these incidents from happening. With all these incident action forms, the immediate actions during the incidents should be indicated in order to see if these were effective. If not, then better actions are developed to solved the matter promptly. With regards to the forms above, these are used when there are such actions that only administrations are permitted to make. 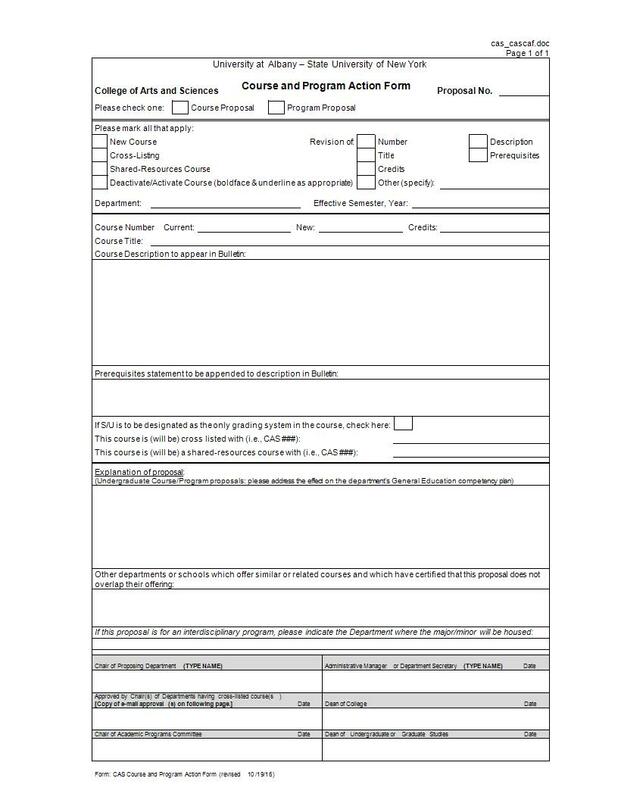 If you would refer to the given forms, one is the notification of pending personnel administrative action, and the other is a personnel and administrative action form. 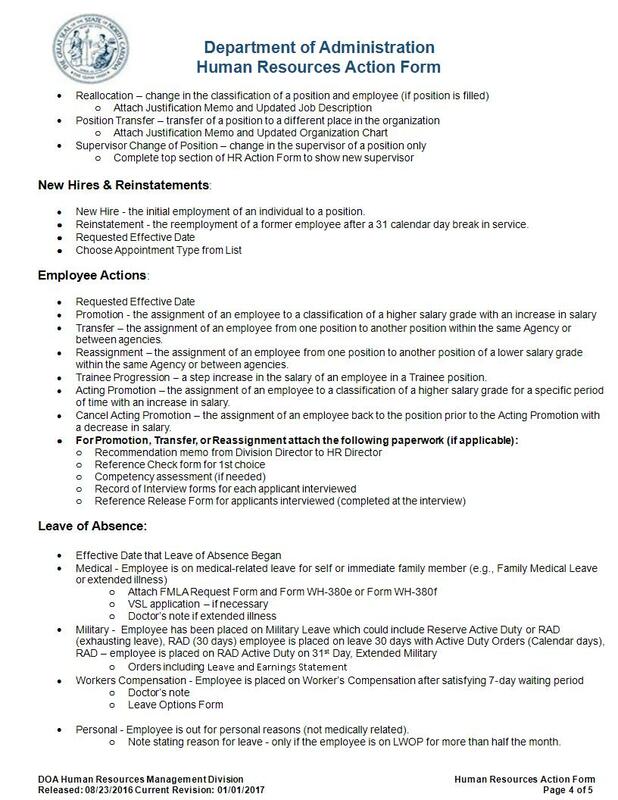 Discharge or dismissal from the association or membership due to separation, requirements non-compliance, and/or loss of contract. 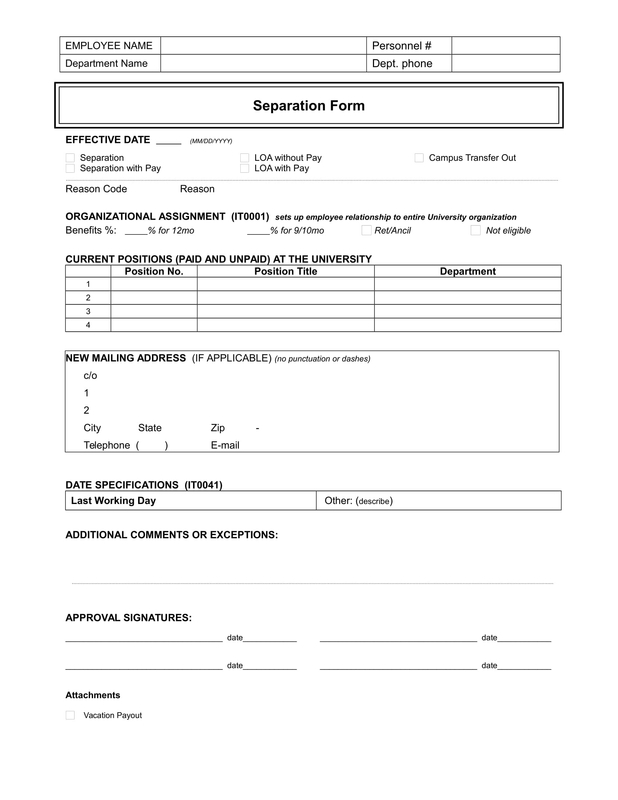 Transfer to other department due to physical ineligibility. Other administrative action that needs to be specified, and for what reason this is made. The name of the person to whom administrative action is administered. These administrative actions are made when the personnel’s attitude or behavior, both personal and organizational, can no longer be tolerated by the company or the organization. 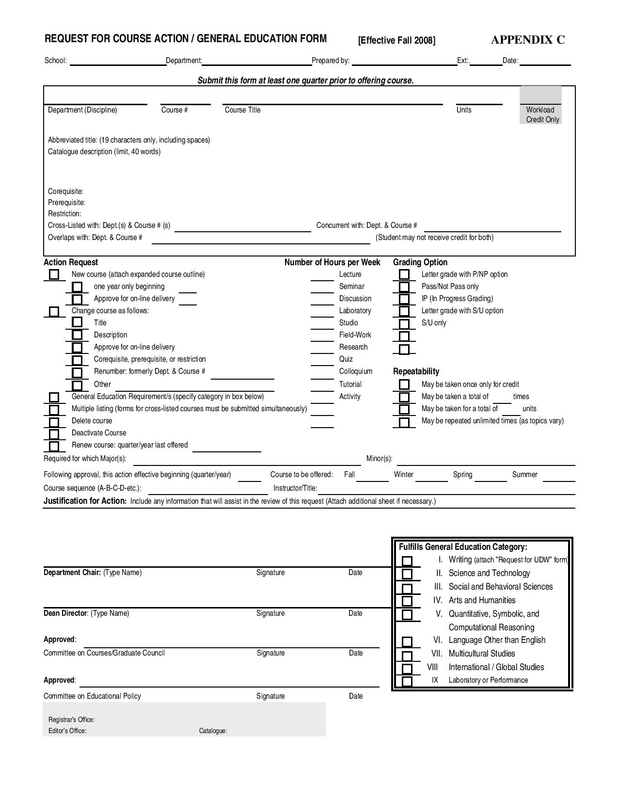 But before this form for administrative action is finalized, there are some few process that are needed to be undergone. The decision will not be taken into action unless there are enough evidences or employee statements for support regarding the personnel Action negligence at his work. An example for this is the personnel’s insubordination or defiance of authority. 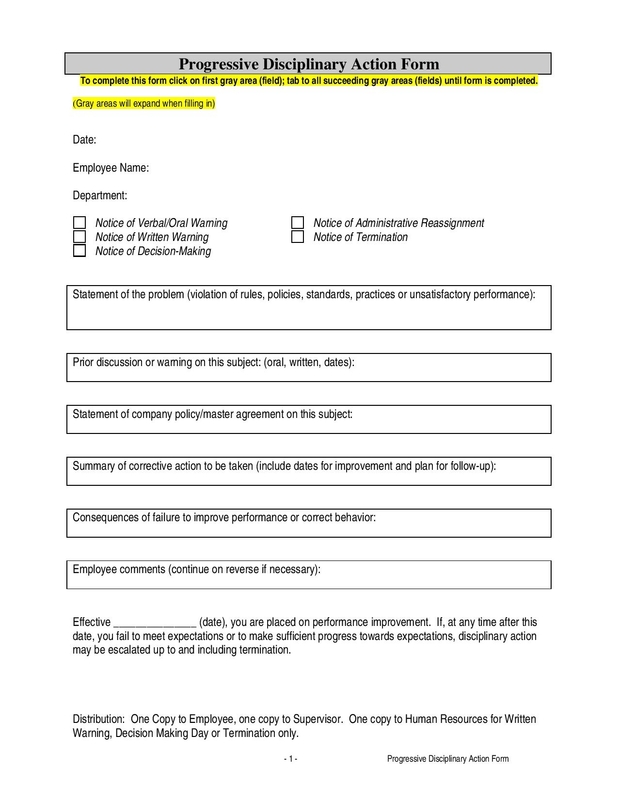 The manager cannot just file an administrative action of dismissal without giving the person series of warnings, as stated in the code of ethics and conduct document. When there are new course proposals to be added in the curriculum of education. The course information such as the course number, description, number of units or credits, title, prerequisites, co-requisites, number of hours, other. 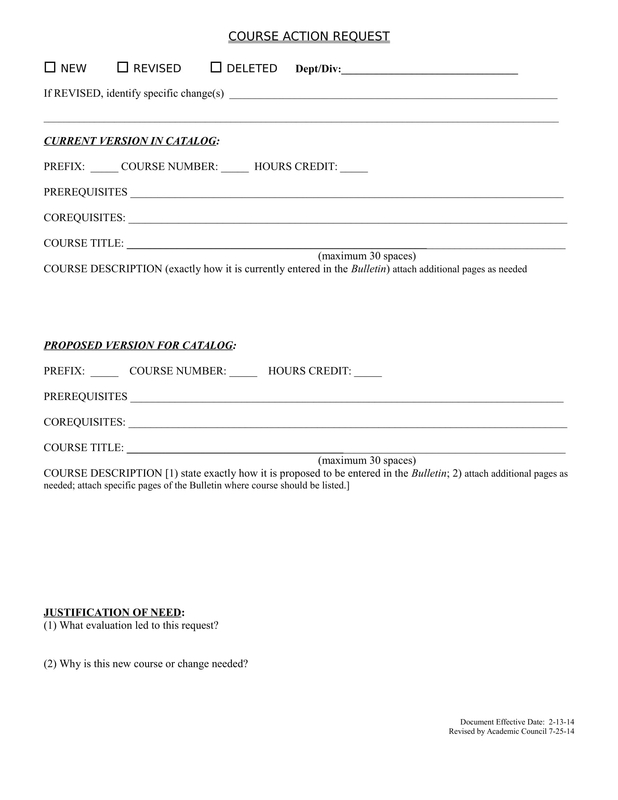 The name of the person who requested or prepared the action form for course/s. 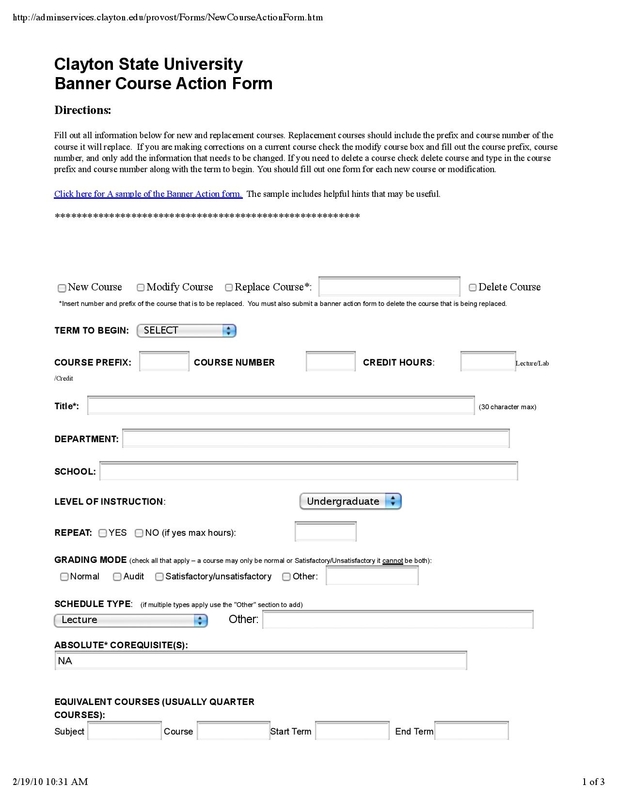 The date of when the form is filled out and submitted. The employee and position number. The reason why change is necessary. The additional remarks or comments. The signatures of the department heads or managers. The date of when they have signed the form. 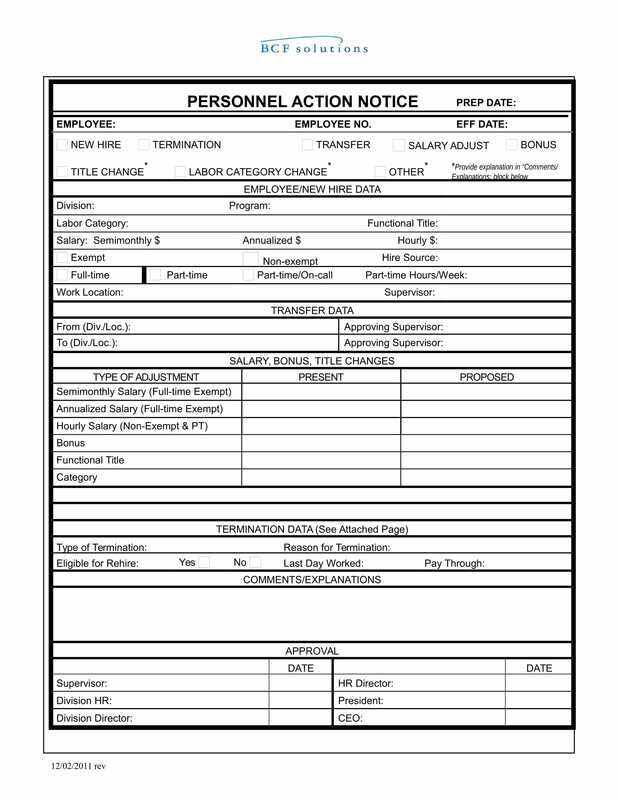 These forms are often used when there are changes regarding the pay of the employee for possible reasons such as the employee was promoted, newly hired, re-hired, on leave, demoted, transferred, retired, voluntarily and involuntarily terminated, re-evaluated of current job, had a merit increase and/or had an information changed. 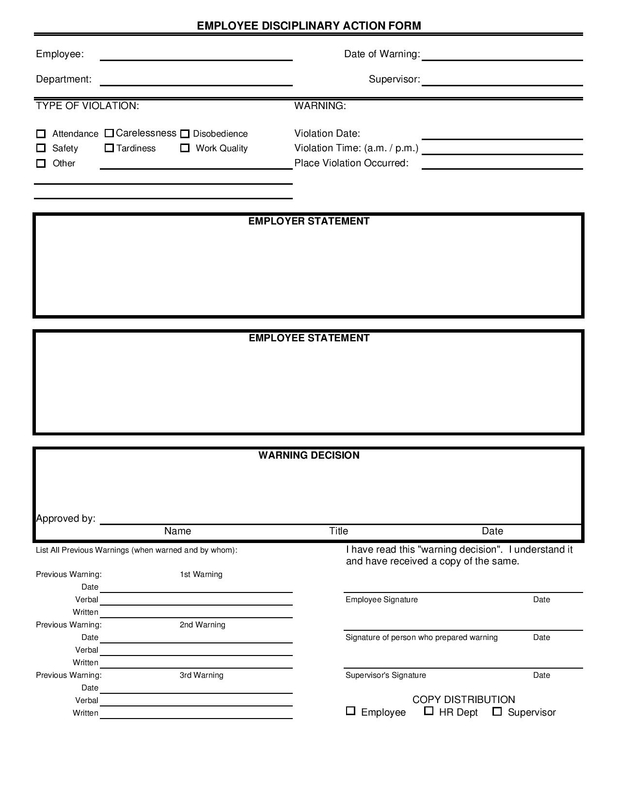 The person authorized to process this form is the human resource staff or manager. 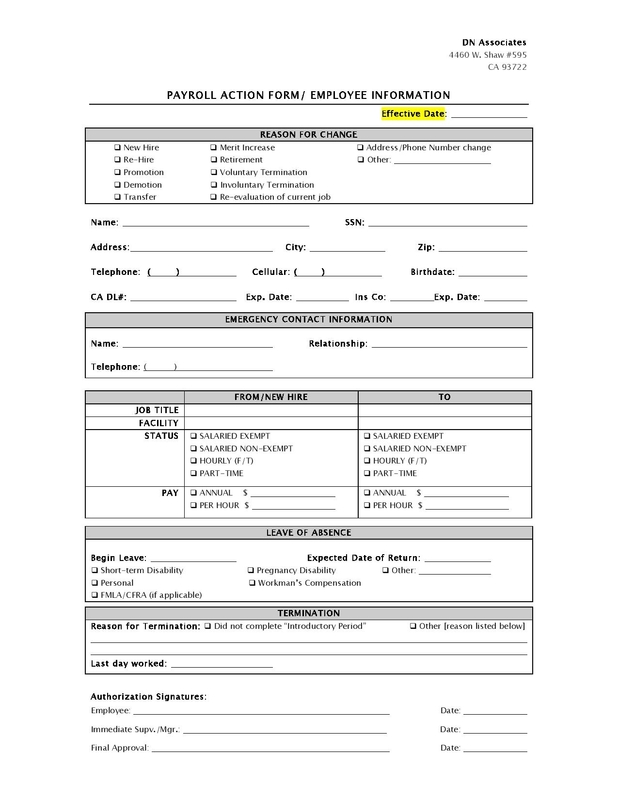 Just like any other forms, this personnel action for employment separation form is submitted and processed by the human resource office only when all necessary information are provided. 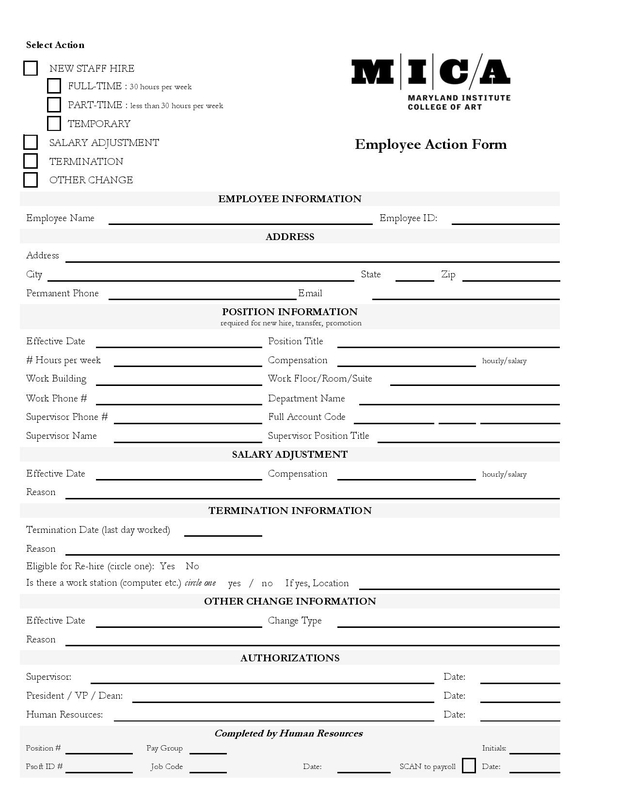 For filling out this form, there should be a copy for the employee, the human resource department, and the supervisor. Some companies would actually give a notice of violation for employees so they will be aware of what type of violation they have made. These are just few of the different circumstances that are most likely encountered by most of the companies or industries. Some of these may not be prevented (just like the natural disasters), but these can be avoided. One way to identify the problems or dilemmas that might cause the distractions in the company is the use of risk assessment forms. 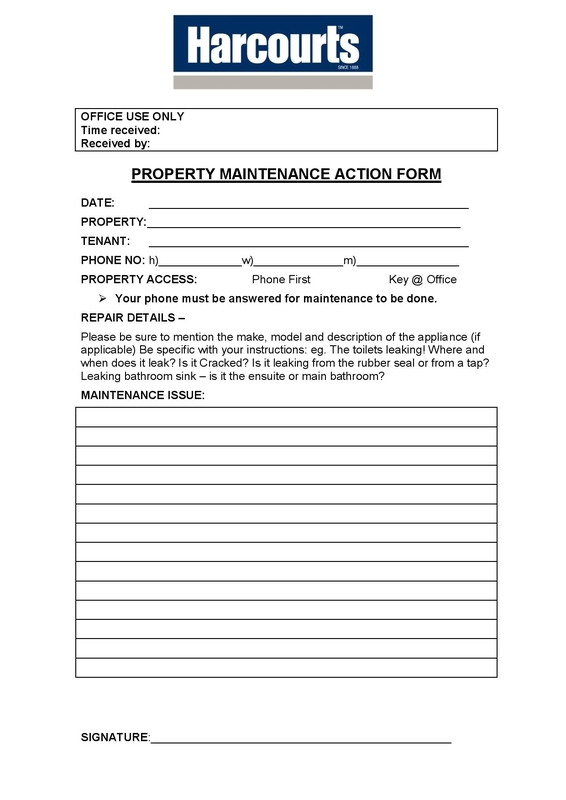 And with the help of corrective action forms, the maintenance team will be able to provide solutions to correct their mistakes, faults or errors. 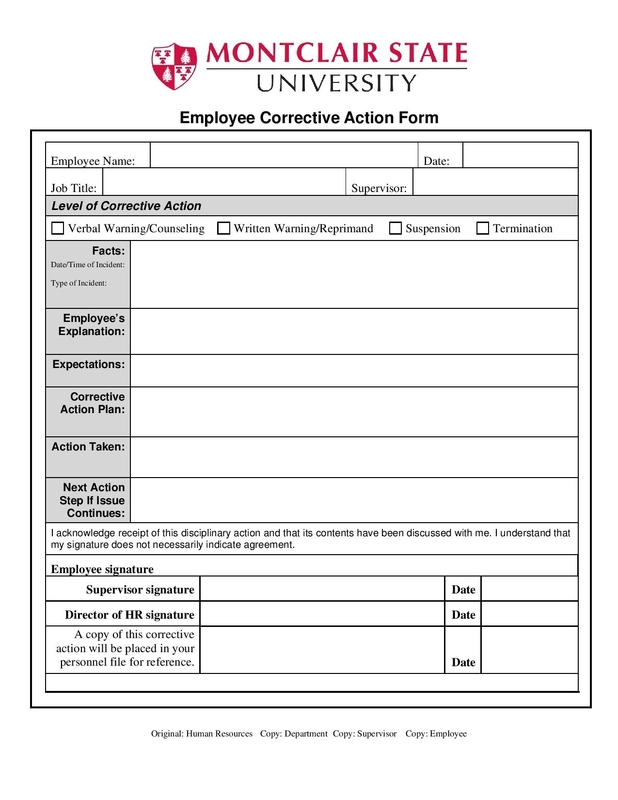 And with the use of preventive action forms, the company will have less risk percentage of encountering the same circumstance again. But in case that the same occurrence happens, the maintenance team will be prepared. Summing it all up, action forms are used when you do decision making. 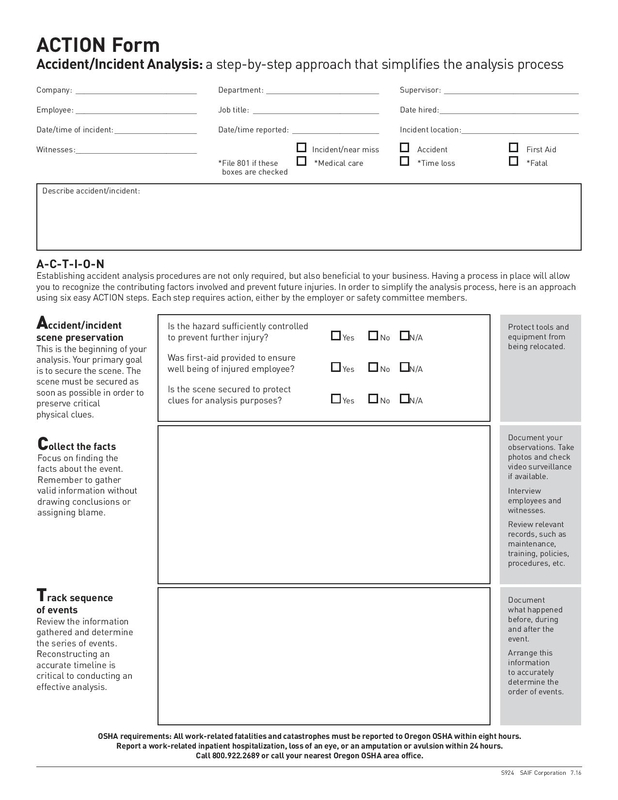 These forms help you make the right decisions to settle different situations encountered in your business and your people. They also serve as standards on what appropriate actions should be accomplished for certain situations in your business. Without action forms, the system in your company would be chaotic, since there is the absence of protocols and procedures on how to run things. Actions forms also set impartiality and clarity for both the employees and the employer; that no one is above the rules that are mandated in a certain organization, unifying everyone in the company under one goal which is to make all business ventures successful. With the use of these action forms, all resolutions or conclusions are justified, making you have a better way of managing your business processes and operations.